First Batch of Videos from Policy Summit 2010! 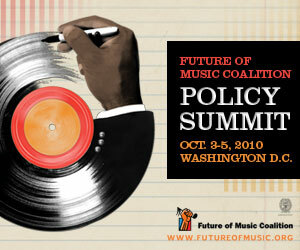 Judging from the number of emails we’ve been getting, you’re all interested in recapping the amazing 10th Anniversary Future of Music Policy Summit, which took place at Georgetown University in Washington D.C., from Oct 3-5, 2010. Well, we’ve got good news: the first batch of high-quality videos have been awesome-ized by our pals at web.illish.us, and we’ve got ‘em right here for your edification/enjoyment. And there’s there’s more on the way, so stay tuned. FMC staff are currently grabbing some much-needed R&R following another epic and awesome conference. But that doesn’t mean we can’t do a quick recap! Washington, D.C.— The most influential minds in music, technology, policy and law gathered in the nation’s capital this week to examine current issues affecting the entire music ecosystem. Taking place at Georgetown University in Washington, D.C. from Oct. 3-5, the 10th Anniversary Future of Music Policy Summit put creators front-and-center in every conversation. Keynotes from Rocco Landesman (Chairman, National Endowment for the Arts) and Victoria Espinel (U.S. Intellectual Property Enforcement Coordinator) shone light on how the nation’s top public officials approach policymaking for the cultural sector in an increasingly digital, networked world. Today is Friday, and the 10th Anniversary Future of Music Policy Summit kicks off on Sunday, Oct. 3. One. More. Day. We’re pretty damn excited. Washington, D.C.— The brightest and most influential minds in music, technology, policy and law will come together to discuss pressing issues at the 10th Anniversary Future of Music Policy Summit, which takes place at Georgetown University in Washington, D.C. from Oct. 3-5. In addition to an already outstanding roster of panelists and presenters, Future of Music Coalition (FMC) is thrilled to confirm Rocco Landesman (Chairman, National Endowment for the Arts) and Victoria Espinel (U.S. Intellectual Property Enforcement Coordinator), in two separate keynote addresses. 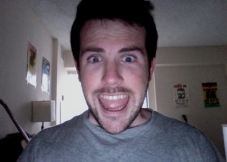 Hello all, Brian Reardon here.